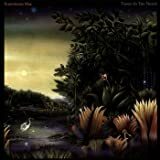 Deluxe TUSK (DELUXE EDITION) delves deep into the vaults with five CDs including the remastered original album, an alternate version of the complete album made up of session outtakes, most of which have never been released, as well as an additional selection of singles, demos and remixes, including an outtake of the Top 20 hit "Think About Me," an early version of "That's Enough For Me" called "Out On The Road," plus several incarnations of "I Know I'm Not Wrong." Also included are two discs loaded with 22 unreleased performances from the band's 1979 Tusk tour with selections from concerts in London, Tucson, and St. Louis. 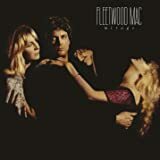 It includes live versions of album tracks like "Sara," "Over And Over" and "Save Me A Place," as well as favorites like "Landslide," "You Make Loving Fun," "Rhiannon," "Don't Stop" and "Go Your Own Way." Rounding out the Deluxe Edition is a 5.1 surround mix of Tusk on DVD-Audio and vinyl of the original album on 2-LPs. 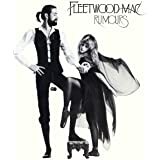 The collection comes housed in an elegant box reminiscent of the acclaimed Rumours Deluxe Edition with a booklet that has extended liner notes that feature new interviews with all the band members. Great album but the bonus material is where this shines. Especially the live material. 5.0 out of 5 starsTusk - Expanded and Remastered - At A Great Price! 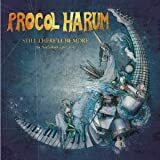 Amazon seems to group reviews of the same product - even when they're different formats - together so I'm going to clarify this is a review for the 2015 Expanded 3CD Remaster. 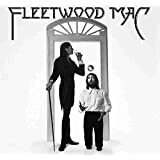 Tusk (1979), along with Rumours (1977) and Fleetwood Mac (1975), was already remastered in 2004, but since Rumours received an updated deluxe remaster in 2013, it makes sense Tusk was given another go. Content wise there is nothing new on this disc - it's the same original twenty album tracks that appeared on the 2004 remaster (and just like the 2004 remaster, it includes the 6:31 version of "Sara" instead of the Single Edit that appeared on the original LP). It does sound a bit more cleaned up than the 2004 remaster. The 2004 remaster also included a second disc that included demos, outtakes, singles, and other bonus material. I have to say, in this case, this bonus disc pales in comparison to the 2004 remaster. There are 22 tracks on this disc - including 6 versions of Lindsey Buckingham's "I Know I'm Not Wrong" and 5 versions of the song "Tusk." I love demos and outtakes as much as the next fan, but do we need 11 takes on just two different songs? The 2004 included the nearly 9 minute demo version of "Sara," often referred to as the "cleaning lady version;" this package includes the "single edit." In my opinion this is the best part of this package. The third disc is called The Alternate Tusk, and it is the entire album in the same sequence with completed alternate versions of each song. It's a whole new listening experience. Standouts here include Stevie Nicks' song "Angel," which is vastly different than what went on the original release. Another gem is Christine McVie's "Brown Eyes." Not only is there an entirely different vocal (that was obviously chopped out of the original album cut, Peter Green played guitar on the track as well. Again, these are not demos ... these are completed tracks. The booklet is 23 pages. 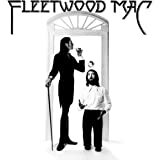 In includes an introduction to the album called "The Elephant In The Room: The Background of Tusk," full album lyrics, commentary by Mick Fleetwood, Stevie Nicks, and Lindsey Buckingham, and many pictures throughout the package. **** You can also purchase the Deluxe Remaster, which includes the three discs described above, two CDs of live music from the Tusk Tour, a DVD audio of the remastered album in 5.1 sound, and two remastered LPs. This work is another brilliant example of an artist not accepting the status quo and proving that depth or experimentation in lyricism and musicianship makes for greatness. 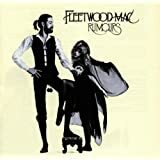 Released two years following their dramatic commercial breakthrough with “Rumors,” Fleetwood Mac, with Lindsey Buckingham now firmly at the helm, offered up this two-record sequel that most critics viewed as a major disappointment. But, today, if listened to carefully and with a discerning ear, we essentially hear the first Lindsey Buckingham solo album and his emerging genius. 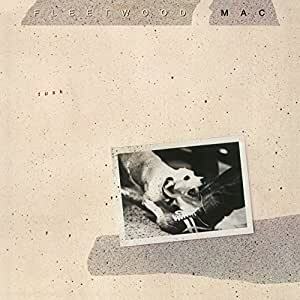 His breakthrough as a master songwriter, with so much of this album being a unique departure from anything Fleetwood Mac had done before, requires a keen ear and an open mind to truly appreciate what is being presented during the time it was being presented. The hits, of course, were classic Mac (the title track, Sara, Think About Me and Sisters of the Moon) although the critics hammered the overwhelming “new wave” feel that Buckingham brought and the volume of these tracks which made the work an exceedingly expensive double album (over $15.00 at the time). With perspective now though, most of these songs, Buckingham and the others, are simply wonderful and form the basis for the group’s future success. I believe that the true art in the Buckingham songs really just needed time…my feeling has always been that he was avant-garde way ahead of the norm and these songs (The Ledge, Save Me A Place, What Makes You Think You’re The One, That’s All For Everyone, Not That Funny, I Know I’m Not Wrong and Walk A Thin Line) were just too far ahead of the audience at that time. I’d challenge all fans to listen now and realize the masterful lyrics and musicianship (he played all the instruments on these cuts). Not to discern the other tracks, Stevie Nicks and Christine McVie’s contributions are also genius. I’d again challenge any Mac fan to find more beauty than Over & Over and Never Forget (McVie) or the ethereal Storms or Beautiful Child (Nicks). When listened to integrated with the hits and the Buckingham tunes, one realizes what a magnificent album this really is and what a groundbreaking work this came to be. Taking a huge risk while suffering a financial blow, Lindsey Buckingham and to a lesser extent, the balance of the band is to be admired for a very courageous move. What they suffered in 1979, I believe they are reaping now with history extolling “Tusk” as a genius work. You might want to take a fresh listen and I’ll wager that you agree. I just got this an hour or two ago, so I may have to come back and give it 5 and a half stars. On the downside, this is a very pricey collection ($100+). Perhaps there will be a more economical release in the future that just includes the CDs/DVDs. * The packaging and new booklets are beautiful and the price is justified by the materials. Great collector's item. * The DVD gets short shrift in the official description, but is of much interest to audiophiles. It has the album played straight in 96/24 stereo but also includes a 5.1 DTS 96/24 surround mix that is glorious. The surround mix will annoy purists. It is, as they say, aggressive. Like the six-channel release of Rumours several years ago, it's not afraid to change things up, but even more so. Way more so. Personally, I mostly love it. There are different vocal and percussion tracks and it's pure ear candy: it fills the room and people casually listening really liked it. Go, Ken Callait! * The extras disc includes all the tracks from a promo LP from the Tusk era. I lost possession of that LP because I didn't have seniority, and have only had a cassette of it all these years. It includes a killer rocking Sisters of the Moon, and sounds great. * The live discs are very good, similar to the Live album recorded at about this same time. I haven't yet listened to the Alternate version of the album or the remastered album. I'm sure they're just fine.